Dimensions 0.84 by 6.13 by 9.25 in. 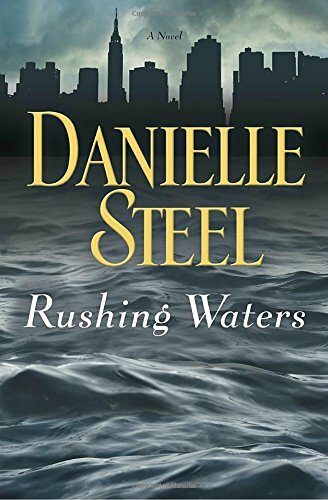 Amazon.com description: Product Description: NEW YORK TIMES BESTSELLER â¢ Danielle Steel fearlessly tackles a catastrophe and its aftermath with characters who are joined together by accident, then share their vulnerabilities, regrets, losses, and hopes. Ellen Wharton has flown into New York from London, regardless of the weather and her husbandâs worry. The successful interior designer is intent on seeing her lively architect mother and has an important personal appointment to keep. But despite Ellenâs urging, when the storm hits, seventy-four-year-old Grace Madison refuses to leave her Tribeca apartment in the midst of the evacuation zone, and they must eventually wade through chest-high water to the police boats outside. About: NEW YORK TIMES BESTSELLER • Danielle Steel fearlessly tackles a catastrophe and its aftermath with characters who are joined together by accident, then share their vulnerabilities, regrets, losses, and hopes.